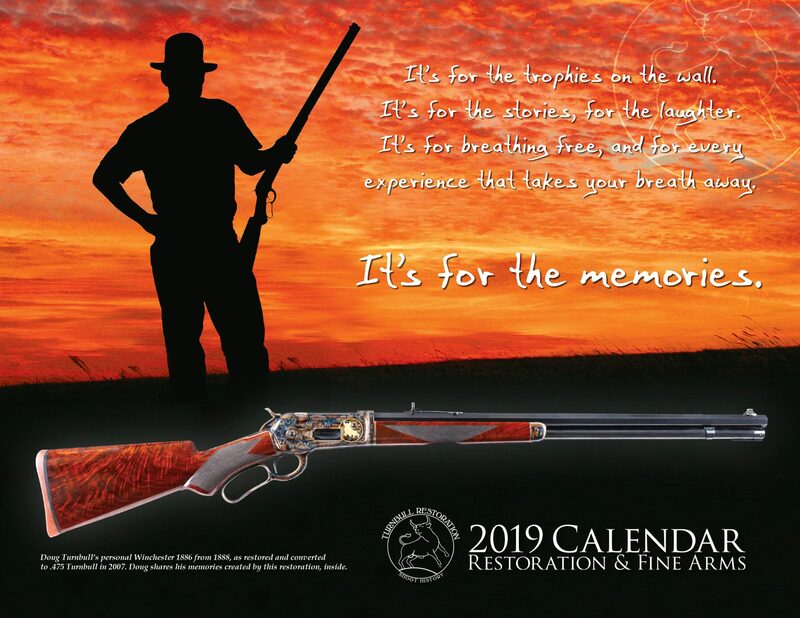 Order your 2019 Turnbull Restoration Calendar. 13 months of classic firearms showcases the incredible detail of some exquisitely restored and newly manufactured firearms. Thank you so much Craig! We’re thrilled that our work will be shared among your family and friends, and that you’re considering one of our 2019 offerings. We’re very excited for their launch — stay tuned! This is truly a ‘ Great ‘ offering from Doug . Having met him at the O.G.C.A. meetings and seen his work first hand . I plan on ordering some more for friends and family . Very high quality and when the year is done , the pictures are suitable for framing . Get yourself one !